And of course, Ivy did end up joining the Suicide Squad at a later date. 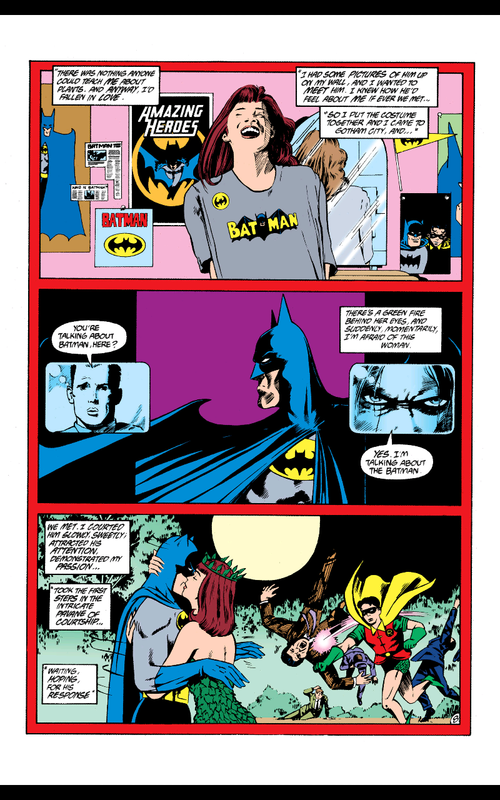 And Gaiman also wrote one of the creepiest cameo appearances by Ivy in the "Black Orchid" miniseries. 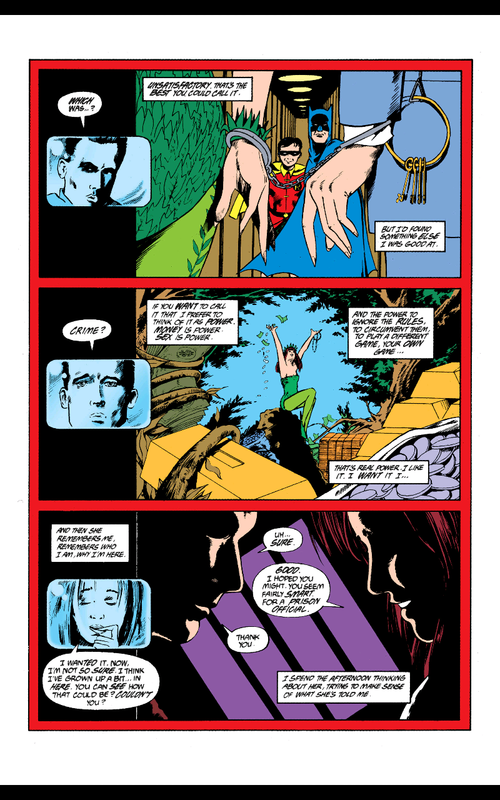 The Poison Ivy sequence in Arkham in Black Orchid remains one of my favorite Ivy sequences ever. 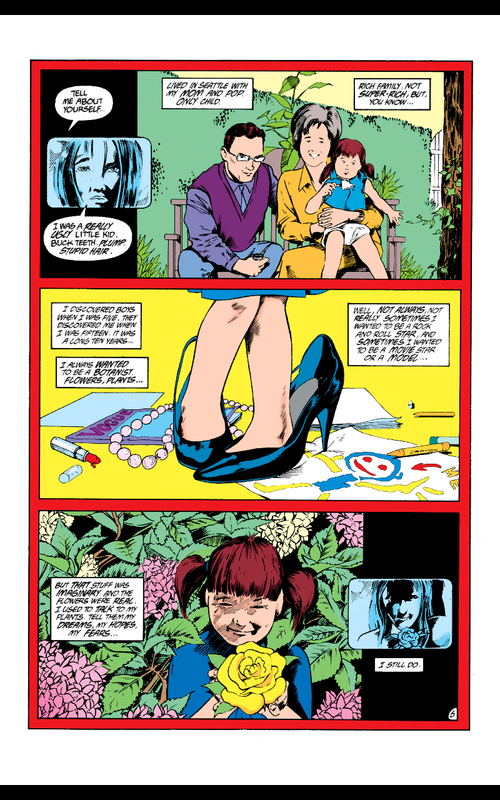 I kind of like Ivy more as a principled eco-warrior, whose morality can kind of be left up to the audience. So sometimes she can shock you with the lengths she'll go to, but if you listen to her, you might find yourself agreeing with the points she makes. 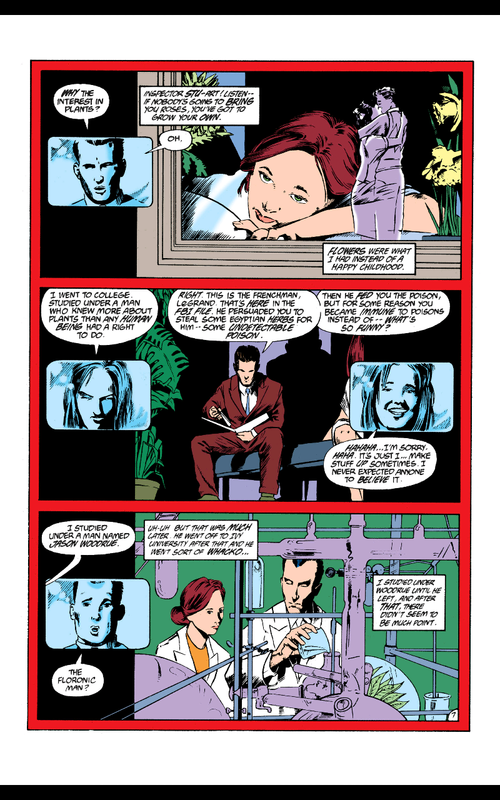 I think it's nice when writers get that about her, or just when they buck convention and approach Ivy as a real character with real motivations, beyond just being eye-candy and making cheap double entendres. Huh. I take the exact opposite stance, but maybe that's because I dislike environmentalist characters in general. That reminds me, I gotta finish my review of The Batman's season 3 premiere. Environmental characters are crapshoot. Sometimes they work, sometimes they are absurdly preachy, sometimes the villains waste money just to pollute the environment. Eco Terrorists as bad guys were common in the 1990s, IIRC. ...Admittedly Seagal intended it to be have a serious enviromental message, but considering he BLOWS UP AN OIL REFINERY in the film, he probably caused even more damage to the surrounding land than Caine's operation ever would have. Duke Nukem, Looten Plunder and, my personal favourites, Dr Blight and her supercomputer MAL.